King bearings are outstanding in quality and unique in design. Here is where quality, design, and value all come together. This particular series is intended for use on most all style rods, and the main bearings are intended for use on all cast nodular, cast iron and cast steel crankshafts. When running 4340 forged crankshafts, this is NOT the style bearing recommended, as the HP series main bearings have a different design due to the built in radius on the journals of most 4340 crankshafts. We also have a rod and main bearing combo available, as well as various sizes. See our other listings. 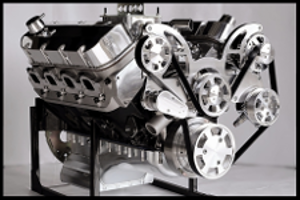 Engine bearings are very critical items, and must be of high quality. We know for a fact that there are many inferior bearings on the market, and many of the so called name brands outsource the product to manufacturers that simply are not into building high end bearings. They don't address any of the critical factors such as metallurgy and design. 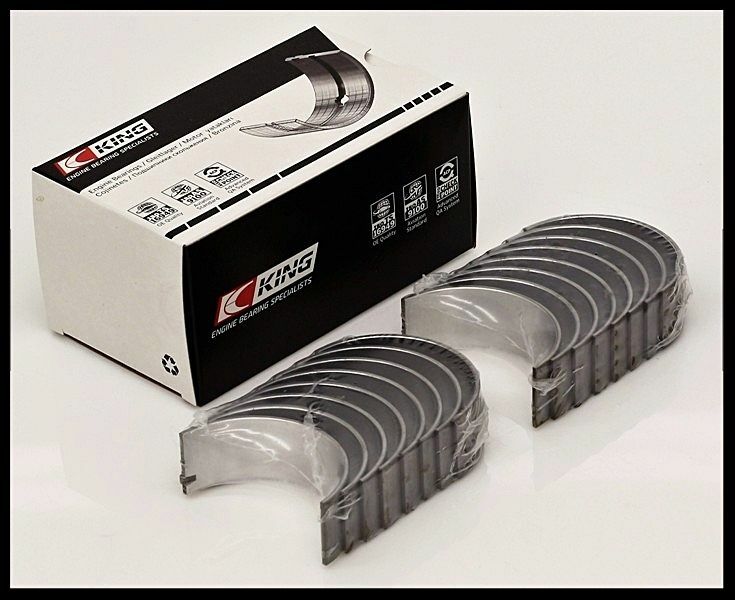 The King bearing company specializes in engine bearings.